A few weeks back I had the delightful surprise to win a giveaway, a couple of fat quarters of Sarah Waterhouse’s beautiful fabric. This is the gorgeous packet that dropped through my door. 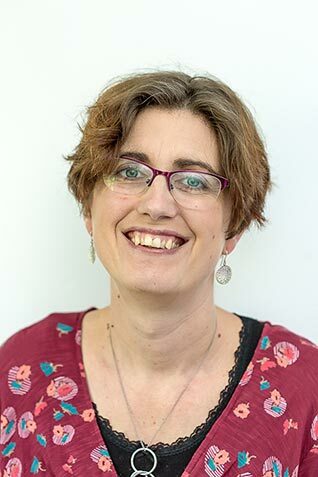 Sarah makes a range of modern funky designs. Using water based ink in her Sheffield studio she handprints onto organic cotton and hemp fabrics. To see more of her range, or to treat yourself to one of her kits (rather tempted by the lampshade kits myself) see her website. 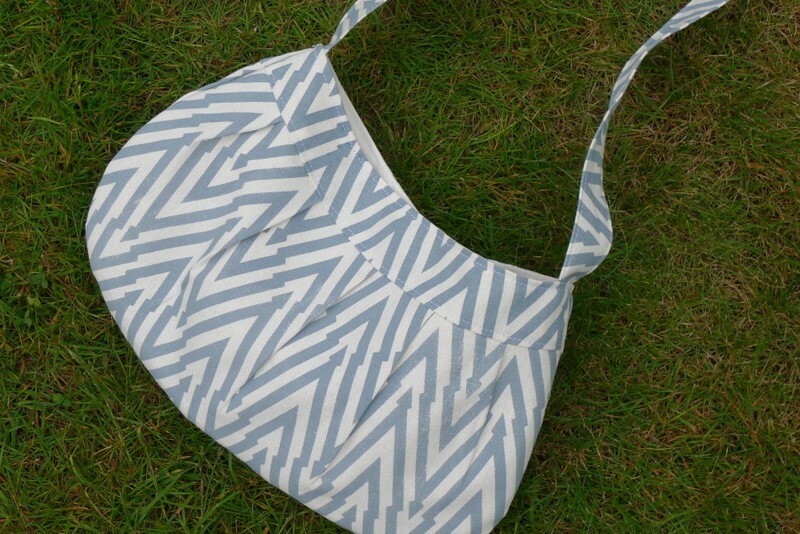 The pattern was easy to follow, partly I think because I’ve made a few bags now. I tweaked it here and their, sewing the handles in between the lining and main fabric (rather than attaching on top) to make it more secure. I’m chuffed with the bag, and still have some fabric left in the dusk blue, plus the yellow quarter to make with. Naturally I have started a Pinterest board fat quarter projects. What do you make with fat quarters? Any great suggestions, I would love to hear them. PS As usual, I’m taking part in Handmade Monday, pop over there to see what everyone’s been up to this week. I often wonder what to make with fat quarters – too many on my shelves from when I worked next door to Samuel Taylors in Embsay and spent my lunch breaks treating myself to just another one or two from the bargain bin! 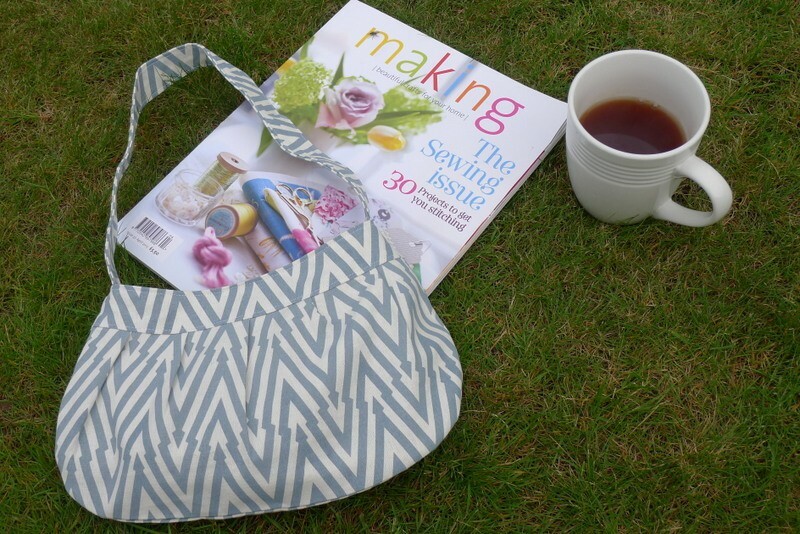 Thank you for sharing the link to this pattern, I’ve been looking for a simple, spacious bag to make, this looks like it could be the one! Great choice of fabric too! That fabric looks gorgeous! I’ve just bought a fat quarter to make some dribble bibs, but generally I have no idea what to do with them either!! Quality dribble bibs !! Mine got scraps of fabric, lined with old terri dressing gown (dressing gown worked really well!)!! Your bag is lovely. It’s amazing what can be made from a fat quarter. Gorgeous fabrics and you’ve made a beautiful bag. I tend not to make things with individual fat quarters as most of my projects as they’re either using less that a fat quarter or a mixture of them. what a cute bag! 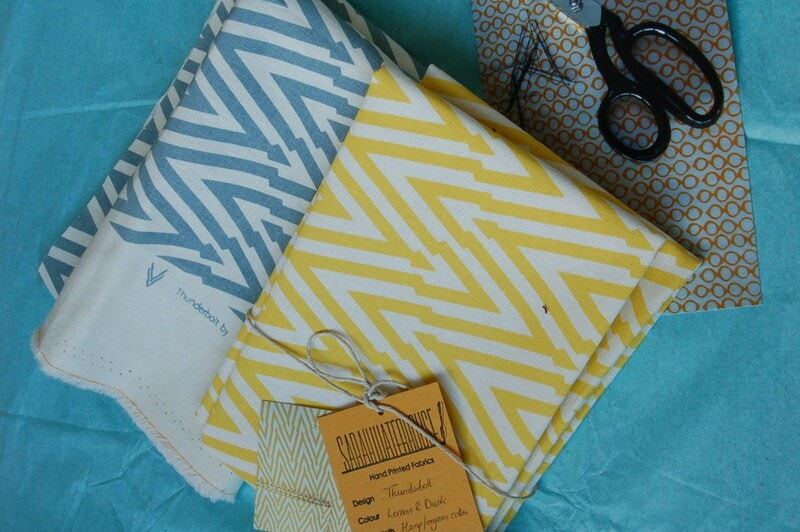 those fabrics do look gorgeous, what a treat to win them! I’ve started to use some fat quarters to make dolls clothes for my daughter. I really like the bag you’ve made, it looks very stylish. Some lovely fabrics and a great looking bag. 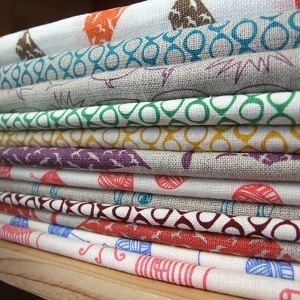 I’ve never made anything with fat quarters before as I tend to buy full metres of fabric instead. Love the bag, and the fabrics. I usually make something to do with patchwork, but have also made small tote bags and kindle cases. I love your bag, very summery as I don’t sew I’m not sure what a fat quater is, but it sounds like you had a super win. Great job, I LOVE both chevron and tribal prints and this combines both!